A couple of months ago, I had the pleasure to review the excellent EP The Way I Feel Pt. 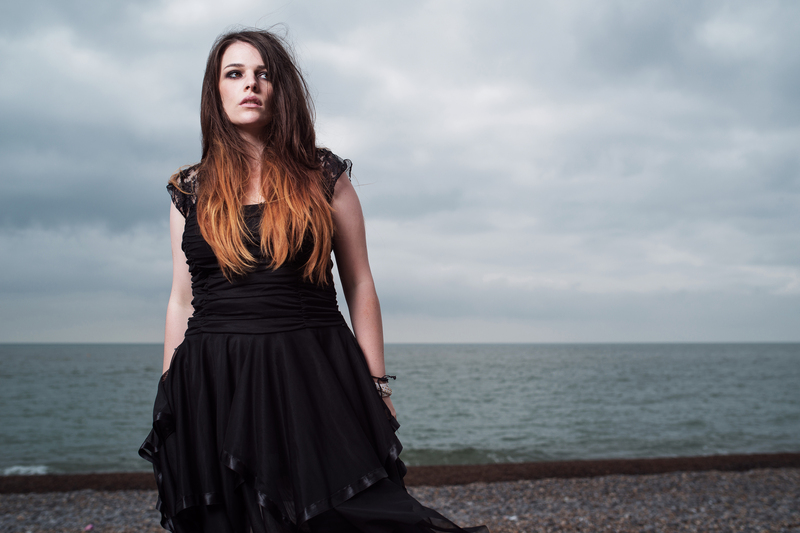 2, by British Electronic Rock band SouLost and, of course, couldn’t help noticing the talent and awesome voice from their gorgeous lead singer Ceira Mahoney. Although SouLost is a brand new band, why not showing the world how promising Ceira’s career is with the band and how lucky Stef G, Lux and Law (the other members of the band) are? Born on Februrary 7, 1992, Ceira (a tricky name for people who don’t know her, that’s actually pronounced “Kira”) began her music and acting career really early in her life. She started singing when she was only four years old, and began training at the Sylvia Young Theatre School in the UK on weekends. Once she turned seven, Ceira joined the Ravenscourt Theatre School full time, where she did a few acting roles such as extra work in Harry Potter and the Goblet of Fire and About a Boy. Our stunning Brit-girl also had some experience overseas during her childhood, as she also played the part of a young goth aged 9 for a company called Malabar, in South Africa. Then at the age of 14 Ceira got into the BRIT School of Performing Arts and Technology and went on to join a few bands. However, according to Ceira herself, up until SouLost she had not found any band she had a real passion for like the one she has developed for her current London-based rock group. Based on her two EP’s with SouLost (The Way I Feel Pt. 1 and The Way I Feel Pt. 2, both released now in 2014), it’s easy to understand why she loves her current job so much: the music by SouLost is powerful, captivating and modern, and it can be easily enjoyed by any type of person, from those regular “Top 40 Mainstream” guys and girls to the most diehard Heavy Metal fan you can think of. If you don’t believe me, take a listen at some of the songs by SouLost, such as The Way I Feel and Save Me, and also watch their official video for the amazing song Without Me. You’ll see that not only her voice is perfect for this type of contemporary rock music, but also her performance as a frontwoman is really above average, truly boosting the quality of the music by SouLost. But how can such a young girl like Ceira look and sound so professional with so little time on the road with SouLost? Well, her origins and early start explain part of that, as previously mentioned, but I strongly believe all the inspiration she got from the legend, the unique, the immortal singer Freddie Mercury was the actual spark that ignited her love for music. She has loved British Rock icons Queen and their theatrical side since she was very young (who hasn’t, right? ), especially Freddie’s unparalleled performance and voice, of course. Besides Queen, she grew up listening to bands such as My Chemical Romance and Bullet For My Valentine, and the dramatic quality of their music has been instilled in her forever. Moreover, in regards to her top vocalists of all time, she also draws a lot of inspiration from artists like Alanis Morissette, Amy Lee, Gerard Way and Idina Menzel, among others. I should say this is a very eclectic list of performers, by the way. Last but not least, as for hobbies our beautiful singer mentioned that, if she wasn’t devoted to music, she would definitely want to train as a tattoo artist, as she has always had a passion for art and body modification. If you want to know more about this remarkable girl and her cool band SouLost, you can visit the band’s official website, Facebook page and Twitter, buy their music at their official online store, check where you can see them playing live, and also join the uprising #SouLostArmy. And let’s face it: with an “army captain” like Ceira, it will always be a pleasure to follow all her orders. 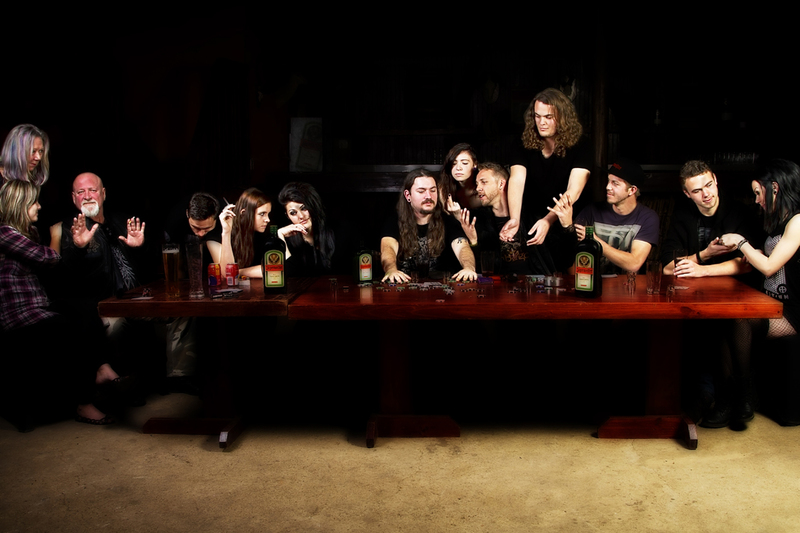 These South African metalheads bring us a vibrant Metalcore album full of heavy riffs, violent lyrics and lots of melody. It’s time to travel to the “Mother Continent”, more specifically to Centurion, in South Africa, an area located about 20 minutes from the city of Pretoria, to enjoy the music offered to us all by South African Metalcore band Octainium in their new album, Suffer The Clock, a very interesting mix of violence, harmony and melody tailored for all guys and girls that are fans of a more modern version of heavy music. 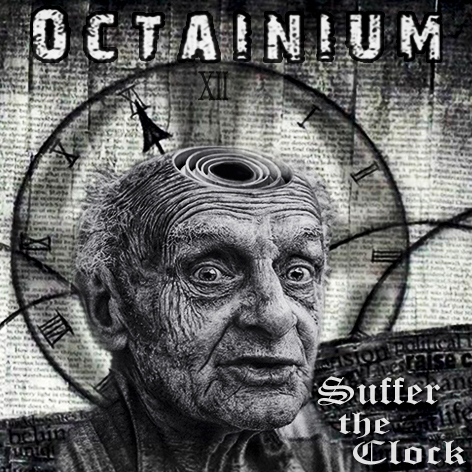 Octainium might be highly influenced by bands like Killswitch Engage, Lamb Of God and Hatebreed, but their music is not limited to what those bands do only. Although labeled as a Metalcore band, their music is much broader that than, as those guys incorporate lots of elements from more brutal genres such as Thrash Metal and Melodic Death Metal, and sometimes even traditional Hard Rock from the 80’s. The excellent mix of Death Metal and Metalcore present in the song that kicks off the album, The Writing’s on the Wall, perfectly exemplifies what I’m trying to say in regards to the range of Octainium’s music, with highlights to the awesome deep guttural vocals blended with melodic clean vocals and riffs as heavy as hell. Moreover, the polished production allows us to clearly listen to all instruments making the overall experience even better, which can also be noticed in Dethrone, a song that gains a lot of strength due to all its elements from Melodic Death Metal bands such as Arch Enemy and In Flames, the excellent job done by drummer Gerhard Booysen (which I’m sure will inspire you for some good headbanging) and its violent lyrics (“I believe the time has come to fight back / So are you man enough? / Are you up for the task?”). Holier Than Thou is even heavier than the previous two tracks, especially the vocals, which sound truly furious here and lead all the spiteful brutality in the song, while Grist To the Mill, which has Scott Wareham (HOKUM) as a guest musician, is pure Metalcore with a good balance of guttural and clean vocals again. Then we have the title-track, Suffer The Clock, a song that talks about how you must take control of your life before it’s too late (“Free your senses, just for a moment / So light your candle and watch it burn!”), with a rhythm a lot faster than all previous songs and highly recommended for circle pits, followed by another one of the top moments of the album, Skeletons, where the addition of the beautiful female voice by guest vocalist Alicia van Wyk makes the entire song even more melodic and pleasant. And there’s still a lot more to come: in Another Day, Another Death, pay attention to the very technical and melodic guitar lines, which truly elevate the overall quality of the song, while in Ineptocracy the focus is on the strong lyrics about the current political, social and economic state of South Africa. What’s Your Poison? is a good heavy song but less inspired than the others, despite its interesting (but really short) acoustic part in the middle, and in The Devil Take The Hindmost the band flirts once again with Melodic Death Metal, with guest vocalist Andrew Duggan (Cutting Jade) giving the song an amazing Hard Rock sonority. Would I be exaggerating if I said this song could easily become a radio hit? The last two songs in Suffer The Clock are If The Shoe Fits, which riffs remind me of some of the recent songs by Trivium, and Vs. The World, another song that focus heavily on strong riffs and melodic vocal lines, closing the album on a high note. Unfortunately there isn’t a link available yet with any of the songs from Suffer The Clock, but you can keep checking the band’s official Facebook page, Twitter, YouTube, ReverbNation and SoundCloud for news and other information about their new album. Well, if you check their profile you’ll see they’re absolutely crazy for Jägermeister, which is a really good sign of how thrilling their music is. Think about it, have you ever seen a band or musician that loves having shots and shots of that awesome German digestif playing lounge or elevator music? Best moments of the album: The Writing’s on the Wall, Holier Than Thou and Skeletons. Worst moments of the album: What’s Your Poison? and If The Shoe Fits.